Acupuncture is the insertion of sterile, hair-thin, needles into acupuncture points on the body. Acupuncture points are places where nerves and blood vessels are densely packed and the stimulation of these points regulates the function of the brain, nervous system, and internal organs to stop pain, increase circulation and restore normal functioning of the body. Hormones, neurotransmitters, natural pain-relieving substances and natural anti-inflammatory mediators are also released during acupuncture and help to stop pain and restore optimal functioning. Effects of acupuncture include pain relief, increased circulation, improved organ, nervous, and immune system functioning, reduction of muscle spasms, increased range of motion in joints, stress relief, relaxation, and overall well-being. Acupuncture has been used as part of traditional Chinese medicine for thousands of years to safely, effectively and naturally treat pain and disease. Only the most effective and time tested therapies have survived and that is what we use today. Acupuncture is not metaphysical or based on mystical invisible energy or meridians; rather it is founded on the principles of human physiology and works through the action of the nerves, blood vessels, brain and nervous system. The ancient Chinese doctors did extensive scientific studies of the human body and had a thorough understanding of anatomy and physiology thousands of years before the western world did. Unfortunately because of a 19th century mistranslation of a Chinese medical text book, the scientific history of Chinese medicine was dismissed by the western world as metaphysical mythology. The ancient Chinese doctors considered the blood circulation in blood vessels called “Mai” and the quality of vital air (oxygen) called “Qi” in body tissues to be the primary factors in maintaining health. Thus acupuncture treatments were focused on opening blockages in order to restore blood circulation and get oxygen into the tissues. Restored circulation would then stop pain, restore organ function, and optimize health. In the aforementioned mistranslation, blood vessel “Mai” was incorrectly called a meridian and “Qi” became energy. Thus began the metaphysical misunderstanding of Chinese medicine and the entire medical system was dismissed. Fortunately for us, Chinese medicine has survived and today Chinese medicine is the most commonly used medical system in the world. The answer is usually no, but a small percentage of people experience minor discomfort for a short time. Acupuncture uses very small solid sterile needles which are many times smaller than the hypodermic needles you may be used to seeing at a doctor’s office. In fact, they are so small that you could fit several acupuncture needles into the bore hole of a hypodermic needle. While there is momentary discomfort with needle insertion, acupuncture needles are so small that most patients do not mind it at all. A small percentage of patients may find acupuncture painful but most patients fall asleep immediately after because it is very relaxing. 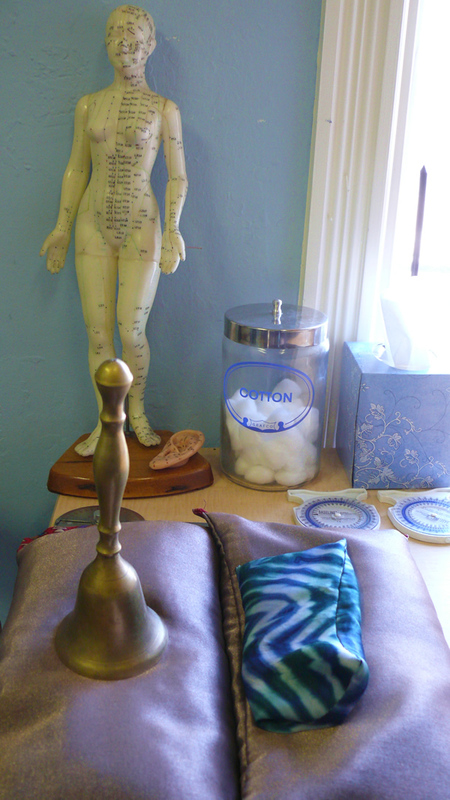 We always tailor treatments to your needs and have had many once needle-phobic people become lovers of acupuncture. If you are particularly needle phobic or sensitive to pain we can work with you; remember our goal is to eliminate your pain. 3. Is acupuncture covered by insurance? Acupuncture is a covered service for many health insurance companies as well as workers compensation and auto insurance. Insurance coverage for acupuncture is a growing trend. We accept most health, workers compensation, and auto insurance companies and plans. In addition we accept auto and personal injury claims. We are preferred “in-network” providers for most major insurance companies. We cannot accept Medi-Cal or Medicare at the moment. Please contact your health care insurance company for specifics on your own plan’s benefits and their rules because these can vary. We accept most kinds of health insurance and will handle all your billing and paper work. Acupuncture is a covered service for most medical, auto, personal injury and workers compensation insurance plans. We also accept Cash, Check, Visa, MasterCard, American Express, Discover cards and PayPal. 5. How much does acupuncture cost? The first visit consultation and treatment (80 minutes) is $140. Follow up treatments (50 minutes) are $90. Herbal consultations (15 minutes) including one week of herbal medicine are $60. Tui-Na treatments (30 minutes) are $65. Your first visit will include a thorough review of your medical history, a physical exam, and then an acupuncture treatment. At your first visit other modalities, such and Tui-Na, massage or herbal medicine may be prescribed for you. A complete treatment plan and expected outcomes will be explained. The needles are retained for 20 to 45 minutes during the acupuncture treatment. 7. What is a typical course of treatment? A typical course of treatment is 12 to 15 treatments. Because everyone responds differently to acupuncture you may need more or less than the average number of treatments. The severity, duration and other complicating diseases or factors will also change your rate of response to acupuncture. We recommend a trial of four acupuncture treatments to start with. After that, we can evaluate your response and give you a more accurate estimate of how long your treatment should last. 8. Can acupuncture help me? Yes! Acupuncture has been helping people for thousands of years and it can help you. While acupuncture is most often used to stop pain, it also regulates the function of the internal organs, thereby treating a wide variety of health conditions. Acupuncture is a therapy and the effects accumulate and provide lasting relief. Acupuncture is very effective for pain and when western medicine fails such as chronic and stubborn diseases. Chris O’Donnell, L.Ac is happy to answer your specific questions and will provide a thorough explanation during your initial consultation. Yes, acupuncture is extremely safe. Major side effects are almost unheard of and the most common minor side-effect is a bruise. Acupuncture, when performed by a licensed and competent practitioner is safe and effective. 10. What are acupuncture and Chinese medicine used for? Acupuncture is used for pain relief and to treat a wide variety of diseases. Chinese medicine has been used for thousands of years as a complete medical system. Chinese medicine is capable of treating all diseases and should be a first line treatment for our most common health ailments because it is safe and effective, without side effects. Acupuncture and Chinese medicine are increasingly used as an integrative treatment with western medicine. For cancer support and pre and post-operatively care, the combination of eastern and western medicine is much better than either one on its own. 11. What kinds of conditions and diseases can acupuncture and Chinese medicine treat? Acupuncture is most commonly used for pain, such as back, neck and spine pain, herniated discs, pinched nerves, sciatica, headache, facial pain, jaw pain (TMJ), menstrual pain, arthritis, sprains, muscle strain, repetitive strain injuries, tendonitis, sports and auto injuries. Acupuncture and Chinese medicine are also very effective for viral infections such as colds/flu’s and hepatitis. Other problems commonly and effectively treated with acupuncture include: insomnia, anxiety, depression, chronic fatigue, allergies and sinus problems, skin disorders, asthma, digestive problems, fertility and reproductive enhancement for men and women. The National Institutes of Health (NIH) has determined that acupuncture is a safe and effective treatment for a variety of common health problems listed below. 12. 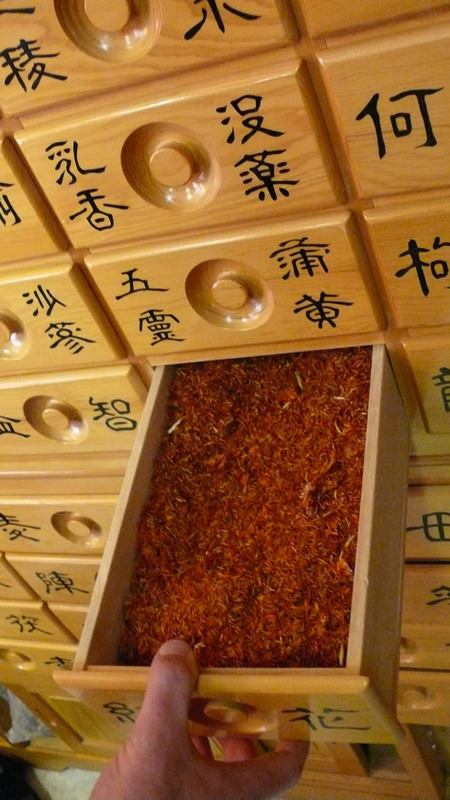 Can acupuncture and traditional Chinese medicine be used to prevent illness and disease? Yes! Prevention of disease and maintenance of health and vitality has been a hallmark of Chinese medicine for thousands of years. These great health benefits were once only available to the Emperor of China but now we can all have access to the wonderful lineage of Chinese medicine. 13. Tell me about Chinese herbal medicine. Acupuncture Professionals uses the highest quality herbs available from around the world. We have herbs available in traditional teas as well as in powders and pill form. Herbs are not expensive. Typically, one week supply of herbs costs $20 – $30. Chinese herbal medicine, when taken in tea form can taste bitter however the benefits to your health and well-being are worth it. Chinese herbal formulas in tablet form are very easy to take and bypass your taste buds. Herbs can be taken for days or months depending on your condition. Unlike western pharmaceutical drugs, you do not have to take herbal medicine forever. Once your condition has stabilized you no longer have to take herbal medicine. 14. What are your credentials? Chris O’Donnell, L.Ac is licensed both nationally and in the State of California as an acupuncturist. Chris is board certified in Acupuncture Orthopedics and Internal Medicine for Acupuncturists. Please see my Curriculum Vitae for more information. Tui-Na is a form of therapeutic massage and manual medicine that originated in China over 4,000 years ago. The National Institutes of Health (NIH), Medline, and the internet are good places to start. Please see our Health & Wellness page for a full list. 17. Where are you located & how can I contact you?